Please note: Funds are available only for qualified Doctors or women studying towards a medical degree leading to GMC registration as a doctor. The trustees regret they are unable to assist those intending to qualify as dentists, vets, midwives or other health professionals or those undertaking intercalated degrees. Postgraduate Medical Student Grant - Closed! Are you undertaking Medicine as a 2nd degree? 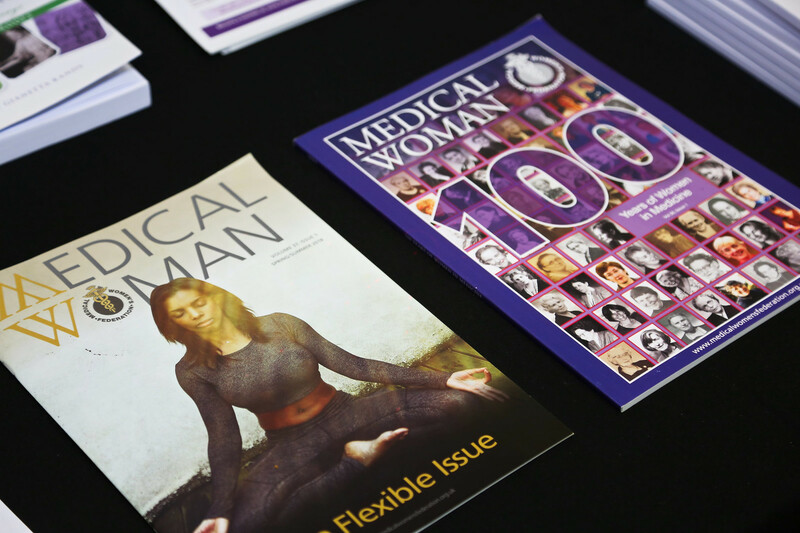 Mature Student grants of £100-£500 are awarded by the Medical Women's Federation to female medical students who are studying Medicine as a 2nd Degree. Please note that grants will be awarded to MWF members only. To find out more about becoming a member of MWF and to Join Us please click here. Junior Doctor Prize - Closed! This is not intended to be a submission which requires any research, as we realise that Junior Doctors are very busy, but rather something creative. We encourage video submissions, paintings, sculptures, cartoons, songs or anything that might showcase your creative talents! The winning entry will win £100! You do not have to be an MWF member to enter this prize... but for £30 a year you might as well become one! Are you planning to take an Elective? Grants of £100-£500 and above are awarded to female medical students to assist them with elective costs. This is a very popular award and applications are of an increasingly high standard, so please ensure that your application meets that high standard. Please note this bursary is only available to MWF members. This prize is now closed. Need Ideas for your Medical Elective? Read through some past electives part funded by MWF here. Katherine Branson Essay Competition - Now Open! The MWF’s annual essay competition invites undergraduate medical students to submit a 600-800 word essay on one two questions. Prize: £100 and an invitation to present your winning essay at our Spring Conference. Please click here for details on how to enter. Closing date for all entries is strictly Sunday 10th March 2019 at midnight. Elizabeth Garrett Anderson Abstract Prize - Now Open! MWF invites abstract submissions at our conferences in Spring and Autumn. We encourage entries from all medical grades as this is a great experience and something which will look excellent on your CV. 3. Innovation, Audit and research or quality improvement project. Full submission details can be located on our website here. The deadline for all submissions is strictly Sunday 31st March 2019 at midnight. Dorothy Ward International Travel Fellowship - Closed! Members of MWF are invited to apply for the Dorothy Ward International Travel Fellowship with chance to be awarded £1000. The aim of the Fellowship is to provide financial support to an individual MWF member to gain further experience/ training in their field by visiting an overseas institution or research group in furtherance of their own professional and personal development. Applicants must be a member of MWF. The recipient of the Fellowship in 2016, Dr Heidi Doughty wrote about here experience here.